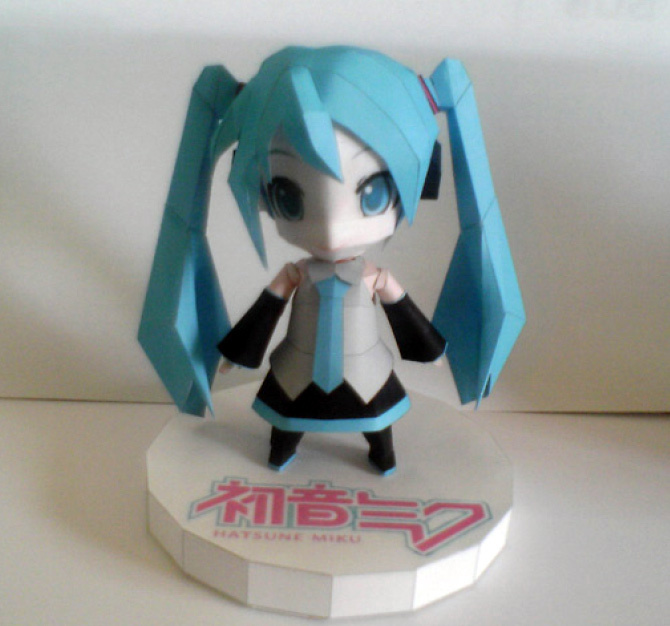 Hatsune Miku papercraft. This figure of Miku is made of paper. How do they do that? Shes so cute there.. Wallpaper and background images in the hatsune miku club tagged: photo hatsune miku papercraft.